Come join us at our ongoing SisCommunity EduRaps™ . . .
We're an Ongoing Open-format EduRap™ Group of Peace-Minded Wimmin Getting Together To Look At Our Current Dilemmas & Offer A Brief Process & Solution Approach . . .
We're womin-affirmative™﻿ non-professional and professional wellness practitioners who get together to mindfully support each other to find and maintain [or regain] our natural peace of mind as we actively work within our diverse communities to make our own lives and the lives of others better. We come together to support each other in all aspects of our lives, our work, our play and our spirituality, to enjoy the friendship of other peace-minded wimmin™﻿ and to enliven and to strengthen our womin-affirmative professional and non-professional community. We're a supportive and intentional SisCommunity™﻿ of wimmin who are proactively exploring and learning to trust our unique instincts and intuitions; to find and keep our natural-born peace of mind in ways that relate to enhancing our personal and community wellness and spirituality. We welcome all peace-minded wimmin™ practitioners ~ including non-professional, and professional artists, performers, writers, dancer, musicians, activists and healers (including energy workers, therapists, life coaches, psychologists, massage therapists, mind-body instructors, students, medical professionals, ministers, spirituality teachers and any other mind, body, spirit healers/practitioners) who study, teach or practice and want to learn more about and discuss womin-affirmative™ wellness, life-balance and spirituality with other wellness & Peace-minded wimmin™. Are you looking for a wimmin-affirmative™ place where wimmin are regularly gathering together to support each other in "Keepin Our Peace Of Mind Together™ " in a variety of ways? 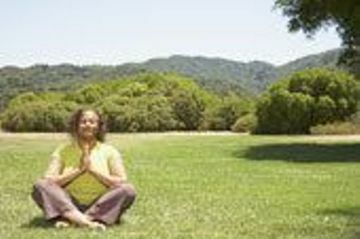 Mindfully supportive, wimmin-affirmative™﻿ groups and intentional SisCommunity creates safe healing spaces for wimmin to explore and express our feelings, build self-esteem, and learn to trust our unique instincts and intuition so that we may find, keep and cultivate our natural-born Peace of Mind. When wimmin mindfully come together in a community of womin-affirmative support and speak to one another from our hearts, free of judgment, we become self-enabled [empowered] to know and express ourselves more authentically, fearlessly & powerfully in the world. We mindfully affirm that by wimmin affirming and enabling other wimmin™ globally to be who We Really Are is what's going to help heal & bring lasting peace-mindedness globally, in our hearts, minds, homes, communities and beyond. Wimmin-Affirmative support & EduGroups™ are also advantageous because they create a much needed loving viable and supportive sense of proactive SisCommunity™. We affirm that wimmin need proactive SisCommunity and authentic connection with other wimmin™ who understand us, see us, hear us, and appreciate us. We need mindful SisCommunity™﻿ , we need a wimmin-affirmative™﻿ place where we feel we belong, in order to be whole, happy and well ~ which are essential needs for having and keeping our [natural and much needed] Peace of Mind. Join us in Long Beach for our on-going Living SistahPeacefully SisCommunity EduRaps™﻿, where we'll explore seven essential topics on a rotating basis . . . Here's a List of Our WKOPOM EduRap™ Topics . . . which will repeat in a 7 week cycle [on 1st Saturdays of the month only] in the Long Beach California Area. Our WKOPOMT EduRaps™﻿ are our No-Charge, Community Wellness Offering [donations accepted] to wimmin in the Greater Long Beach community & surrounding areas [you're welcome to join us wherever you live] and we only ask that you RSVP for each week your intention to attend and then keep your appointment, since the seating is limited. While Our SistahPeacers ™ [Sistahs who have joined] can always come even, if they forget to RSVP ~ please do also remember that seating is limited and that non-reserved seating is on a first-come-first-served basis . 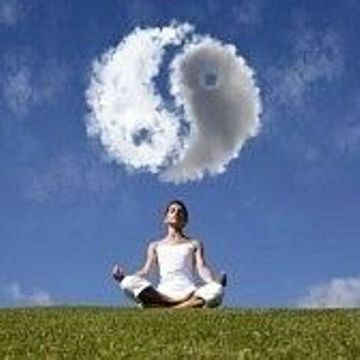 . .
Wellcome to SistahPeaceful WellBalance™ . . . Individual & Couples Counseling Sessions & Other Groups Available . . . PLEASE TAKE A MOMENT TO RSVP FOR EACH MONTHLY EDURAP THAT YOU PLAN TO ATTEND . . .
Reserve your seat(s) here by filling out our form. 2. Become a SistahPeacer at our MeetUp site. As with all SistahPeace™ events, please invite or bring anyone who may want to be part of our proactive SisCommunity™, or who may want to participate in the discussion. We'll love to see you there. To Reserve Your Spot . . .
* Which Group Are You Attending ? * Date Of Group(s) You Wish To Attend ? For Additional Groups Pls Go To MeetUp to Reserve Your Spot(s) . . .
Are You A Non-Professional Or Professional Practitioner ? In What Area(s) Are You Most Interested ? Please Remember To Join At MeetUp.Com (See Above). Please Submit Your Message & Welcome . . .